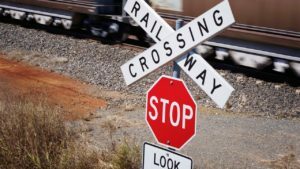 A pastor from Gaston County, North Carolina is dead after the waste management truck he was driving was hit by a Piedmont and Northern Railroad train near Lowell NC last Monday. According to the local police department. the driver of the truck was Thomas Collins, who was the pastor of New Canaan Baptist Church. He also drove part time for the local waste management company. The truck caught fire after it was hit by the Piedmont and Northern Railroad freight train. Railroad crossing accidents happen every day in America, and thousand are killed every year in these accidents. Maintenance problems: We have seen cases where there was too much vegetation around the railroad tracks, which obscured the driver’s vision of the oncoming train. Train operator error: Human factors contribute to more than 1/3 of car-train accidents. 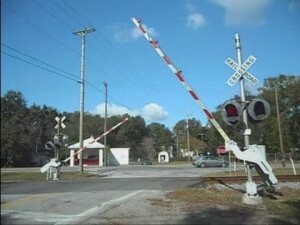 In every railroad crossing collision between a car or truck and a railroad’s train or engine, an experienced railroad crossing lawyer will learn whether the locomotive engineer operated the train horn in a timely fashion, if the engineer was obligated to blow the train horn/whistle, what the railroad’s operating rules required when approaching the crossing and what the witnesses actually heard in this regard. Secondly, maximum train speed is regulated by the Federal Railroad Administration, and the engine event recorder (black box) data must be reviewed to verify braking, speed, horn, throttle position and so forth. In some cases, the train operator falls asleep or is otherwise distracted. This means that they lose precious time to apply the brakes if something is on the tracks ahead. Also, railroads typically push railroad engineers hard and they often work long hours, with little warning when they need to report for duty. Safety gate failure: Sometimes safety gates and sensors fail. Our railroad accident lawyers are adept at reviewing locomotive cameras, black box data recorders and signalization data so we are able to determine what factors led to the railroad crossing accident. In cases where the railroad is found negligent, large settlements can result.